The patent wars are still raging in the tech industry. Earlier this year, Apple sued Qualcomm for about $1 billion over royalties. Not to be outdone, Qualcomm is hitting back by countersuing Apple and yesterday Qualcomm filed its Answer and Counterclaims relating to January lawsuit. The full lawsuit is 139 pages (download link), but it boils down to Apple deliberately hindering the performance of Qualcomm chips in certain iPhone 7 models to make Intel chips look better. Threatened Qualcomm in an attempt to prevent it from making any public comparisons about the superior performance of the Qualcomm-powered iPhones. Qualcomm underscored Apple's reliance on them in their statement that "Apple could not have built the incredible iPhone franchise that has made it the most profitable company in the world, capturing over 90 percent of smartphone profits, without relying upon Qualcomm's fundamental cellular technologies." By choosing to not utilize some of the high-performance features of the newer chipsets, Qualcomm is claiming that the customers could not enjoy the full extent of their innovation. Apple had been using chipsets from both Qualcomm and Intel in some of their iPhone 7 models. 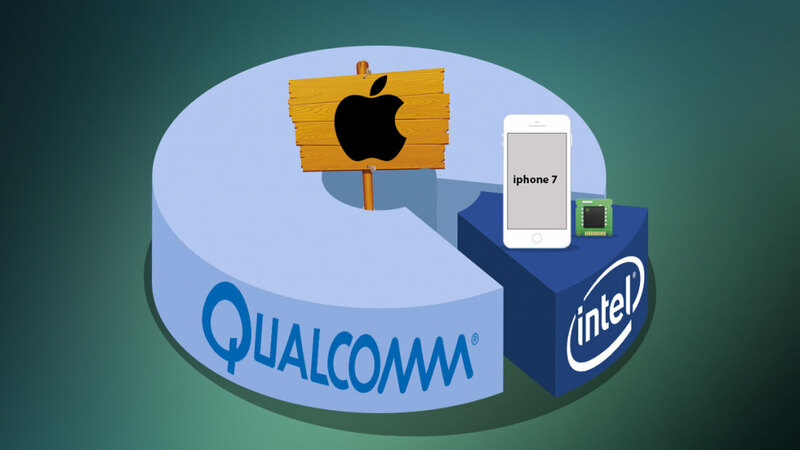 Qualcomm believes their chips outperformed the Intel ones and that "Apple's actions were intended to prevent consumers from realizing that iPhones containing Qualcomm chipsets performed far better than iPhones containing chipsets supplied by Intel." Apple's response was that there was "no discernible difference" between the two chipsets. The lawsuit seeks damages from this as well as for Apple to stop interfering with deals between manufacturers and mobile components. Apple has responded to the suit by saying that "Qualcomm built its business on older, legacy standards but reinforces its dominance through exclusionary tactics and excessive royalties." Both lawsuits against each other allege some form of extortion based on patents or chip technologies. Patent lawsuits can be brutal and this one seems to be getting messier every month. Looks like business as usual! Reehahs, Burty117, DaveBG and 2 others like this. Tech companies suing the pants off one another is newsworthy??? Although I know apple is a bully, Qualcomm is simply being silly here.